Remembered for the oompa loompas, the chocolate river, Augustus Gloop and more, “Willy Wonka” served as many children’s introduction to Wilder’s talent as the whimsical, frightening and charming owner of a world famous chocolate factory. “The chemistry he has with the kids is remarkable, because thats not easy to do with child actors, so I’d say as a kid watching that film you could look up to this guy,” said CTVA major Evan Talianko, 19. Compared with the remake’s version of Wonka, played by Johnny Depp, Wilder is seen not as a creepy man-child but as a deranged recluse. “You don’t know if he was a good guy throughout the whole thing,” said Michelle Vazquez, 23, CTVA major. And yet, this did not stop him from being beloved by children and fans. “The whole moral of Willy Wonka is fantastic and I think Gene Wilder delivers that really well and its really comprehensible,” said Talianko. 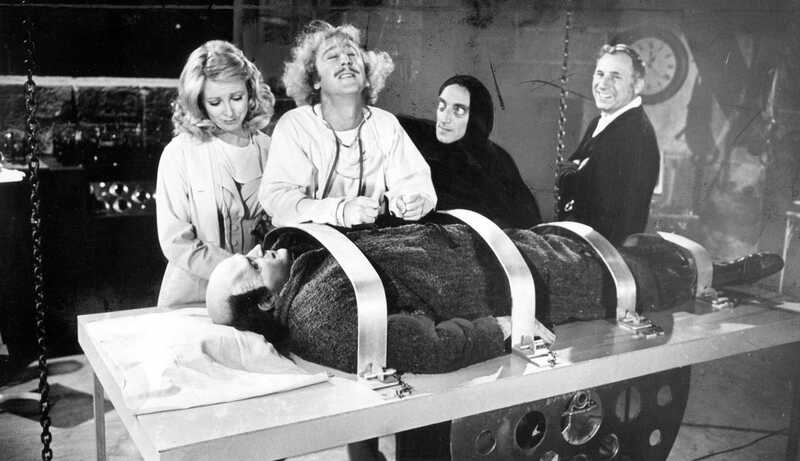 As the descendent of the legendary Dr. Frankenstein, Wilder’s character is forced to continue the first Frankenstein’s work of reanimating the dead. This film has been considered director Mel Brooks’ best movie, as the film parodies Mary Shelley’s Frankenstein in classic Brooks fashion. Honestly, ignore that score. With an ensemble cast, this TV movie is a proper remake of the animated original. Playing the Mock Turtle, Wilder cries and sings with his character’s friend, Gryphon, and encourage Alice through her titular adventure down the rabbit hole. As the Waco Kid, Wilder works alongside a new sheriff who has not been kindly accepted by the local townspeople based on his skin color. This western comedy transcends time with its slapstick jabs at race, stereotypes and western cliches. Although remade as a musical in 2005, “The Producers” is a satire about an accountant and a Broadway producer premiering a glamorous show involving Nazis. This is certainly a film not to be missed.